I was recently given a gift card to Tea Collection with the opportunity to shop their Spring Collection for clothes for my little ones. I'll definitely share a few pictures of my cute kiddos in their cute new clothes, but for now I wanted to share what I'm so excited to dress them in! 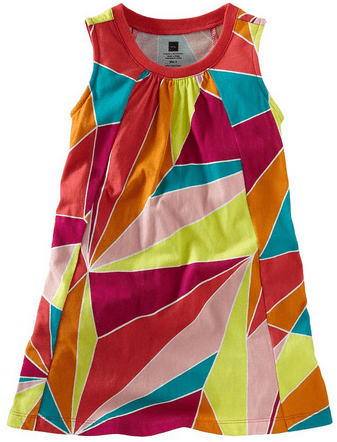 The Bo-Kaap Trapeze Mini Dress ($27) is available for babies, toddlers, little girls and big girls, but I totally wish I could get it in my size! 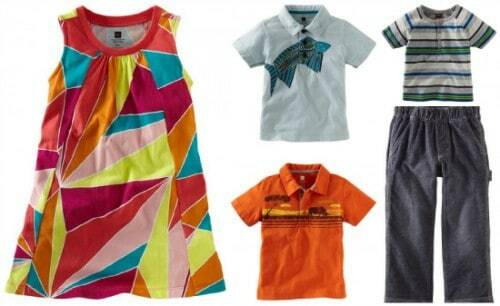 I love the colors and the easy, swingy style. 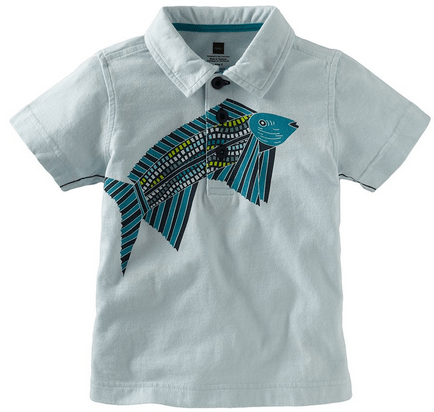 The Venda Fish Polo ($29) is available in every size from babies to big boys, and I love the beachy style! It's cute and casual, but I think the collar and buttons make it just a little more formal for going to church or a child-friendly event! 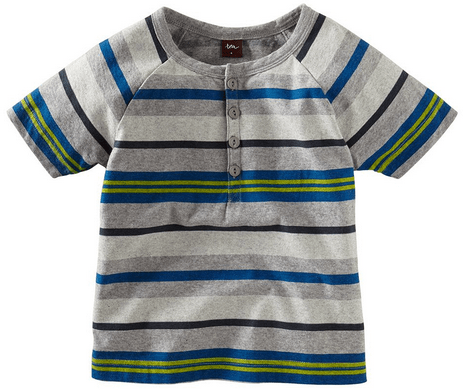 The Surf Beach Henley ($26) is sized for toddlers through size 12, and it also comes in brighter “brick” colors! 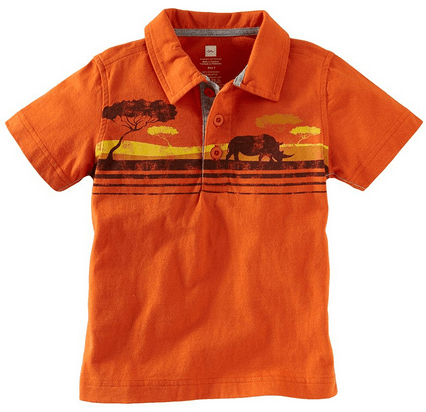 I love the bright colors and the landscape image on this Grazing Rhino Polo ($29). It's another one that can be dressed up or down. 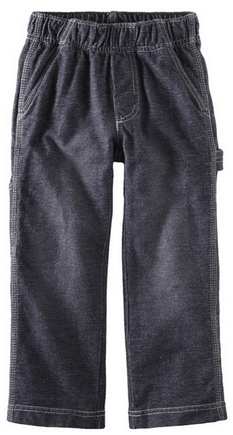 Finally, I'm pretty excited about these Denim Look Carpenter Pants ($39) that are on the way. I like that the elastic waist makes it easy for little ones to dress themselves, but the softer cotton fabric still looks like denim! I can't wait to show you the spring styles on my kiddos, but I wanted to be sure you had access to a nice coupon code if you want to shop today. Right now when you shop at Tea Collection you can save an extra 15% off everything at TeaCollection.com when you use promo code PRSAVE213.